It’s been an exciting week here, with plenty of good news to share. First of all, we’ve just confirmed screenings of ‘Sisters For Sale’ at not one but two great film festivals, on opposite sides of the planet. These will be the Australian and European premieres for the documentary, and I’ll be sharing the details of both festivals shortly! 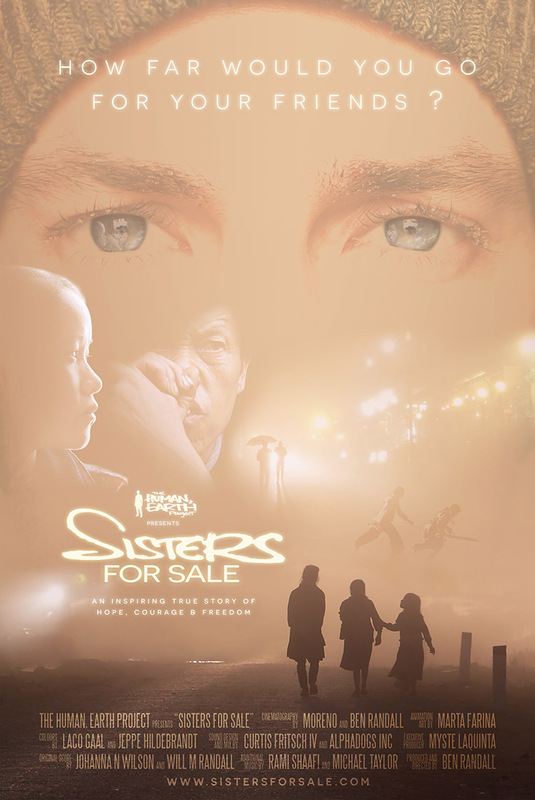 Secondly, thanks to the wonderful Myste Laquinta, the first ‘Sisters For Sale’ posters have now begun arriving around the United States and Canada – I’m looking forward to seeing one here! Thirdly, we now have not one but two new additions to the team here. Professional translator Elisabetta Disa is working on the seventh (and likely final) translation of ‘Sisters For Sale’, in Italian. She’ll be assisted by Elisabeth De Sa Barbaro (who was an absolute hero last year in supervising our French translation), and possibly others. Elizabeth Martel is the newest addition to our team. It’s always fantastic to see passionate, talented people coming forward to help grow the project, and I’d like to share Elizabeth’s story. Elizabeth – or Liz – has followed and supported the project for years, and decided it was the right time to take the next step. She messaged saying she might be able to help with social media. After a short chat, Liz had a far better understanding of the internal workings of the project, and created a new role for herself within the project – a role which is an even better match for her own talents and passions, and an even more valuable one for us right now. Liz has already begun coordinating our festival schedule – and, with any luck, we’ll soon have a North American premiere to match those in Europe and Australia! Liz’s story is very typical of how this project has operated over the past few years. Our other current core team members – Melissa Adams, Katie Carriero and Astrid Hofer – all came onboard to help with promotion. They’ve since found roles within the project that fit their own passions and interest – handling web development, funding, strategy, partnerships, and much more. We’re fortunate to have such a wonderful, tight-knit team here. They all have day jobs, give whatever they can – sometimes a little, sometimes a lot – and it’s all very much appreciated. One of our team members said that getting involved with this project was the best thing she’d ever done. Another said it was a great source of meaning for her during a difficult time in her life. With ‘Sisters For Sale’ coming out soon, we’re going to need some new team members – if you’re interested, or even curious, please don’t hesitate to send me a quick message, and we can have a chat about finding you a place on the team. We’d love to have you onboard. You can reach me at thehumanearthproject@gmail.com. Last week I shared a few details about the project’s finances, and mentioned a few ideas for future funding – including the possibility of a new fundraising campaign. I’d like to thank those of you who messaged, contributed, or ordered a ‘Sisters For Sale’ poster in response. Your support makes a real difference and is very much appreciated, thank you. One person reacted very differently, attacking the project as a “joke”, and insinuating that we’ve been taking advantage of people’s generosity. He pointed out that we’ve run three fundraising campaigns over the past 5.5 years, raising a total of $83,382. That, he seemed to believe, was already more than we deserved. Let’s take a moment to look at that. The actual figure was slightly lower (at $82,596). Averaged out over the 2,063 days since I first began working intensively on this project, that’s almost exactly $40 per day. – Part of our story was the core focus of ‘Bargain Brides’, a 47-minute documentary featured on Channel NewsAsia’s ‘Undercover Asia’ series. – And still, somehow, we’ve managed to have enough money left over to keep a roof over my head and food on the table, so that I can continue to dedicate myself to this work. None of these things happened by themselves. Behind every visible success, there has been a huge amount of hard work, mountains of adversity and months of dogged perseverence. I’ve worked incredibly long hours on this project, and have never been paid – I do this work because I believe it’s important. While I could be earning hundreds of dollars a day doing the same work elsewhere, I’ve taken only a meagre allowance to cover my basic living expenses. It’s true that ‘Sisters For Sale’ has taken more time and money than expected. It’s a long, long step from that fact to any accusation that the team and I have been doing anything less than a phenomenal job behind the scenes. We’ve achieved incredible things together – and with your continued support, we’re going to achieve far more. If you have any doubts about our work, please feel free to reach out and speak to us. We’re here. We’re human beings. We encourage discourse and understanding, and will be enforcing a zero-tolerance policy on abuse. If you know anyone with the necessary skills and equipment who would be willing and able to do the same work for less money, I sincerely hope they do. In fact, I’d be delighted to have them on the team. 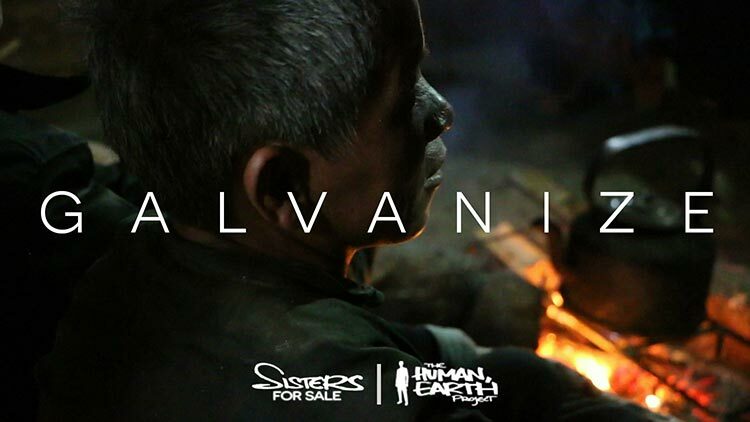 If you’d like to help support our work against human trafficking, you can donate or order a poster here.